The new 2018 FAST® Parts Indoor Air Quality Products Catalog features an expanded new line of IAQ products and accessories—all designed for easy installation, sharp-looking professional installation and years of dependable service. 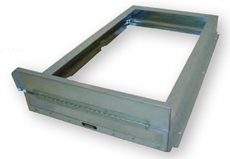 Filter Housings for Gas Furnaces and Air Handlers. FAST Parts offers three series of filter housings that are well-built, easy to install and backed by lifetime limited warranties. gas furnaces through five tons. > FHE Air-Tite Series for electric air handlers through five tons. > FB Perfect-Platform Series for either gas furnaces or electric air handlers from one to 3.5 tons. Media Air Cleaners. FAST Parts offers five groups of media air handlers to help you keep your customers breathe cleaner air. > FSMU Series high efficiency charged-media retrofit air cleaners designed to remove atmospheric and household dust, coal dust, insecticide dust, mites, pollen, mold spores, fungi, bacteria, pet dander, cooking smoke and grease, tobacco smoke particles, and more down to 0.3 micron (1/84,000 of an inch). FSMU models are backed by a lifetime limited warranty (not including filter). 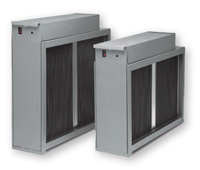 > FB Perfect-Platform Series Media Air Cleaners for gas furnaces and electric air handlers. FB models are backed by a lifetime limited warranty. > MAIC Series Media Air Cleaners with a MERV rating of 8. > FPRAM 2000 Right Angle Media Air Cleaner with a MERV rating of 11. Electronic Air Cleaners – FAST EAIC Electronic Air Cleaners are designed to trap smoke and extremely fine dust particles (from 0.01 to 5 microns in size). EAIC models are backed by a five-year limited warranty. Humidifiers – FAST HMIC Series fan and bypass humidifiers are quiet, effective and backed by a five-year limited warranty on electrical components plus a one-year limited warranty on the entire unit. Available Now! 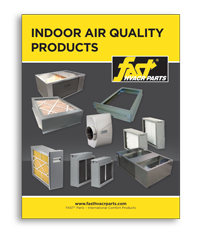 This new FAST IAQ Products Catalog is available right now. Click here to download your copy. 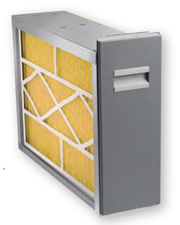 Ask your FAST Parts distributor for more information about FAST IAQ products and supplies. Click here to find a FAST Parts distributor near you.